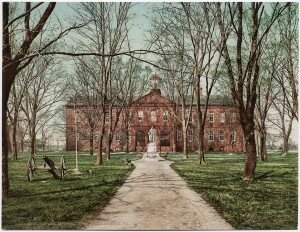 The College of William and Mary is amoung the oldest schools in the U.S. It is 319 years old, but remains innovative about education. It is a ground-breaking research university that provides a superior education that is accessible to everyone. 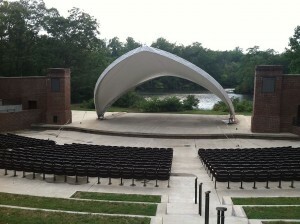 The College of William and Mary is located in Williamsburg, Virginia, United States. Academic departments at the College of William and Mary are spread across five schools and dozens of academic departments. There are a wide variety of undergraduate programs to choose from, stemming from the disciplines of Arts and Sciences. The general undergraduate requirements will ensure that the student is well-versed in a wide variety of studies so that they do not become pigeon-holed in a certain field. Students are able to choose courses from fields ranging from Computer Programming to Neuroscience. The hallmark of a William and Mary education is the hands-on high level of student engagement required for student research projects. The school also has the Mason School of Business, as well as a variety of graduate programs. The College of William and Mary aims to be accessible for students looking to pursue their studies there. Although costs are subject to change, undergraduate tuition has been set at $6,785 for in state students and $18,672 for out-of-state students for the 2012-2013 school year. There are other costs also associated with obtaining education at The College of William and Mary including room and board, book, travel and other incidentals. Tuition for in-state graduate students is set at $5,720 and $12,895 for out-of-state graduate students. Those pursing education in the fields of Law and Business will be subject to other tuition fees. The amenities on campus at the College of William and Mary are constantly being upgraded in order to better serve the students. 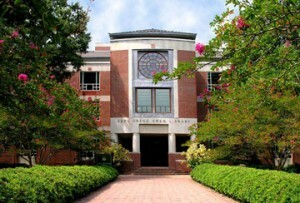 Their newly renovated Earl Gregg Swem library was ranked the 8th best college library by the Princeton Review. There is also a state-of- the-art media center that gives the students access to new iPods, laptops and videos to better complete their work. The Muscarelle Museum of Art is an on-campus research center which provides exhibits and resources for students. There are over 400 different student clubs and organizations to choose from at the college. The art clubs are thriving including award winning singing groups, dance groups and sketch comedy. There are also many different sports teams for those that cannot commit to a full-on varsity experience. There are media clubs that publish the school newspaper and run the college TV and radio stations. Greek life was invented at the College of William and Mary in 1776. Greek life continues to thrive at the college with over 40% of students participating in a fraternity or sorority. There are many social outreach programs that students can volunteer at as well, helping to spread a global conscience. The College of William and Mary has many incredible alumni including comedian Jon Stewart, who is currently the host of Comedy Central’s The Daily Show. Fashion designer Perry Ellis was a graduate of the business administration program in 1961. Actress Glenn Close was also a graduate of the theatre and speech program at the College of William and Mary.